MoRe: Art is everywhere! 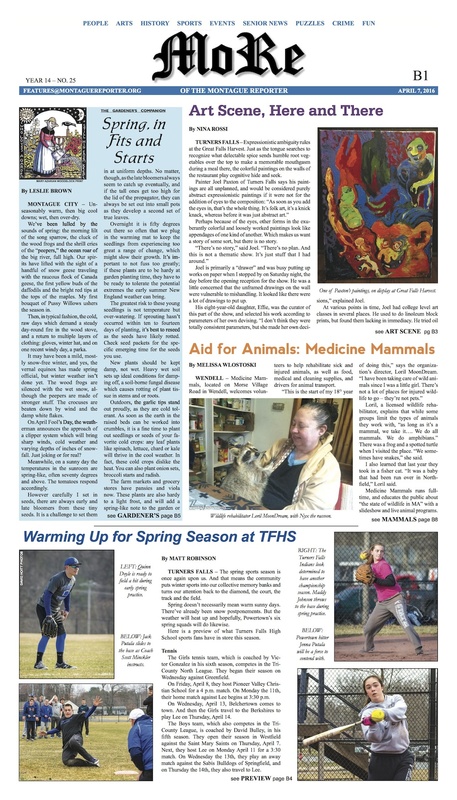 Abstract expressionist paintings with eyes…folk art…knick-knacks…whatever you call them, a Turners Falls artist’s creations add colorful intrigue and ambiguity to the walls of Great Falls Harvest. Montague artists contribute rotation books, welded sculptures, and readings from their works at a book arts exhibit in Easthampton, and vintage powerhouse photos are on display at the Great Falls Discovery Center. Slate Roof Press poets visit Franklin County Tech. The Gardener’s Companion and TFHS athletes contend with a mercurial springtime. In Wendell, Medicine Mammals invites volunteers to help them help sick and injured wildlife. Oystergirl offers Part 1 of “The Surprising History of Menstrual Care.” NatureCulture: The Science Page highlights efforts (including beer!) to protect and raise awareness of our own endangered Connecticut River shortnose sturgeon. 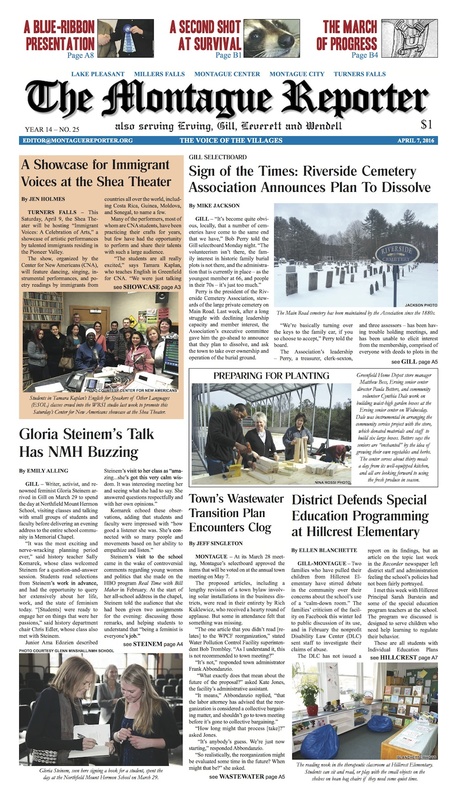 Plus: the return of the Leverett Police Log (as well as logs from Erving and Montague); the Healthy Geezer talks dentures; the Pet of the Week is a Jersey girl; and tons of arts and events listings.